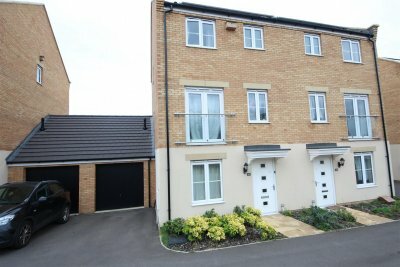 Regal Park are pleased to offer this well presented 3 Bedroom Semi Detached 3 Storey House in the popular location of Hempsted. The property is situated close to local amenities and is within walking distance to the city centre. The property comprises of: Entrance Hall, Cloakroom, Study, Kitchen/Dining Room. To the first floor is Bedroom 2 with a Jack 'N' Jill En-Suite and the Lounge. The top floor has the Master Bedroom with built in wardrobes and En-Suite, Bedroom 3 with Jack 'N' Jill En-Suite to the Family Bathroom. There is a Driveway & Single Garage and enclosed rear garden.